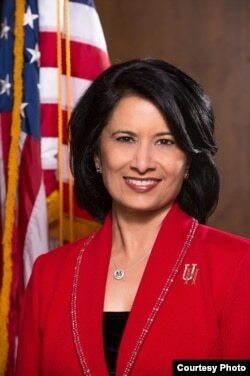 Renu Khator, the president of the University of Houston, is unlike most presidents of colleges and universities in the United States. For one thing, she was born in India. And she did not speak any English when she arrived in the U.S. at the age of 18. Khator came to the American state of Indiana in 1974. 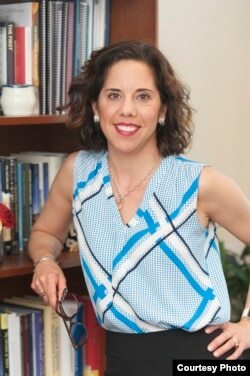 At that time, her husband was earning a doctoral degree from Purdue University. University of Houston president Dr. Renu Khator. But Khator says she was not satisfied simply waiting for her husband to complete his education. She completed her own doctoral degree at Purdue in 1985 and began teaching political science at the University of South Florida. In 2008, Khator was appointed president of the University of Houston and chancellor of the University of Houston System. The system is made up of four universities. With the appointment, Khator became the first Indian immigrant to lead a major research university in the U.S. She also became the first female leader of the University of Houston System. Throughout her career, Khator says she has faced some difficulties making the same progress as others in her field because of her race and gender. "I had to fight a little bit harder. And I don’t mind that because I think that built my character. But as I moved up, I made sure that other people who are coming behind me don’t have to fight those similar kinds of situations." The American Council on Education (or ACE) studies issues of higher education. The organization says only three out of ten college presidents in the U.S. are women. And only about two out of ten are ethnic or racial minorities. The information came from its study of 1,500 university and college presidents, released in June. American Council on Education researcher Lorelle Espinosa. Lorelle Espinosa is a researcher and one of the lead writers of the ACE report. She says this lack of diversity is a major problem considering how diverse the students at U.S. colleges have become. In 2016, the U.S. Department of Education reported that more than half of the 20.5 million college students in the U.S. were female. Also, the number of African American college students increased from 11.7 to 14.1 percent between 2000 and 2015. The number of Hispanic students grew from 9.9 to 17.3 percent in that same time. Espinosa argues that university leadership can best serve this increasingly diverse population when they represent the kinds of students they are serving. Women and minority presidents would have a better understanding of the needs of students who are like them. But schools continue to favor older white men for president positions, she says. The ACE study shows the average age of an American college president is 62. About 25 percent have also been president of another college before accepting their current position. Espinosa notes that when schools only look for candidates with years of experience in administration, they are going to keep choosing the same types of people. But having years of experience does not necessarily mean a person will have the skills to deal with new issues in higher education, she says. "What we have to do is take, actually, a larger step back and think about, ‘What does experience mean and are we defining experience in the right way?’ … As the student body has evolved, and even as technology evolves … we’re getting into a lot of new spaces that require different types of experience. 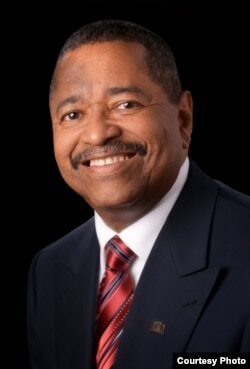 It’s not just, ‘You’ve been a president before.’"
AGB Search manager Rod McDavis. Rod McDavis works with AGB Search, a company that helps colleges and universities identify presidential candidates. He was also the president of Ohio University for 13 years. As an African American man, he says the lack of diversity in college leadership is troubling. But he says it is also not fair to blame schools for wanting someone who is familiar with the responsibilities of running a school. "It’s hard to fault a board for wanting … a sufficient amount of experience. ... You have to look at what a person has done within the time he or she has served in a particular office." McDavis admits that the way schools identify candidates can be limiting. First a school’s governing board must decide the qualities it wants in a president. Then the board creates a search committee, including professors, administrators and both current and former students. The committee then creates a list of possible candidates who possess the desired qualities. The majority of candidates on these lists are usually deans or provosts, McDavis says. Schools most often choose professors to fill these roles based on their records of research publication and service to the school as a whole. McDavis argues that many schools do not do enough to support women and minority faculty in moving their careers forward. So, search committees often find fewer women and minority candidates with leadership experience. University of Texas at El Paso president Dr. Diana Natalicio. That is why Diana Natalicio says it is important for more colleges and universities to create policies and plans to support diversity. Natalicio became the first female president of the University of Texas at El Paso in 1988 and has served in that role ever since. Natalicio says young people need to see diverse leaders in order to believe they can reach those positions one day. Natalicio suggests that schools need to actively choose to diversify their lists of presidential candidates. Also, schools must work with younger, inexperienced faculty. They must guide them in making choices in areas like research and service work that will advance their careers. Otherwise college leadership will stay as the same, Natalicio adds, even while the students continue to change. Pete Musto reported this story for VOA Learning English. Hai Do was the editor. We want to hear from you. What does the leadership at colleges and universities in your country look like? How might having a more diverse leadership affect the way colleges and universities in your country operate? Write to us in the Comments Section or on our Facebook page.